Dreamcade Vision 32 was announced today by Dream Arcades, featuring a 32-inch LCD Monitor. 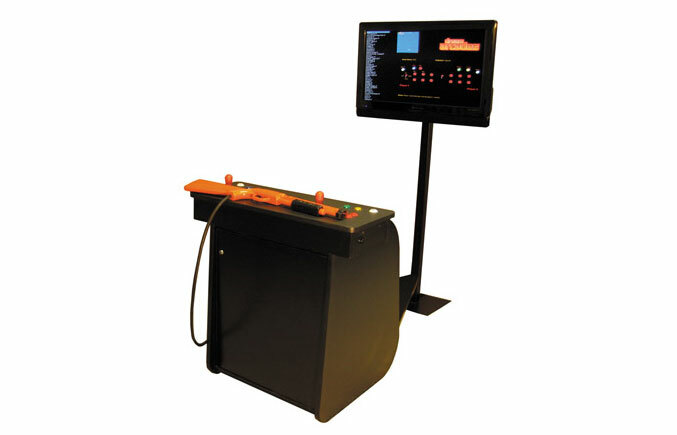 Dreamcade Vision 32 comes with more than two-hundred preloaded games, combined with the largest LCD monitor in any home arcade cabinet. The Dreamcade Vision 32 is going to be released on the 1st of October, 2010, for the price of $2,009 plus a $200 release celebration discount. The Dreamcade Vision 32 also comes with additional features like MP3 Jukebox, and expandable gaming library (which means that more additional games can be added later). The Vision 32 can also be hooked up to an external projector, which offers entertainment on a 100-inch huge screen. “There’s nothing like playing classic arcade games in crystal clear HD and the 32″ high def. LCD makes it a perfect media center for any game room,” says Michael Ware, Dream Arcades’ Founder. Dream Arcades provides retro arcade cabinets that offer classic arcade games from the 1980s, the 1990s and beyond. Pacman, Centipede, Galaga, and more than three-hundred licensed game titles are available. Dream Arcades start at the price of $999, and are available with screen sizes that range from 10 feet to 19 inches.